Where is Cat?? 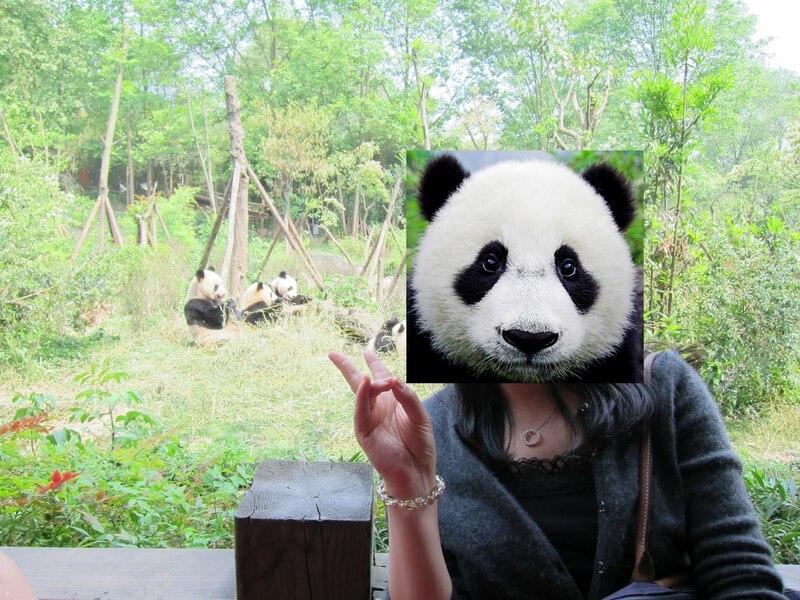 : I wanna be ... a panda! I wanna be ... a panda! What is this fuzzy, cuddly, black and white fur ball thingie hiding behind the leaves? Man, so jealous, they are so happy. The Chengdu Panda Base is like a panda paradise, free food, free lodging, and people going ooh and ahhh... They even have their own Panda-razzis! Eh, what are you doing here? Poor red pandas, completely overshadowed by their black and white cousins. Where is the holding a baby panda in one's arms pix?! I so want to do that (followed by bring "toy" baby panda home lol)!! !